There’s always something to snack on over the weekend in this house. 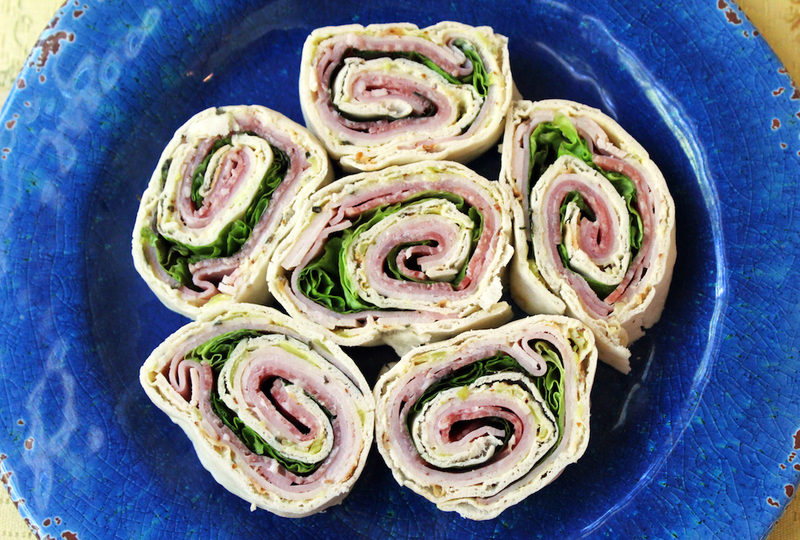 Sometimes it’s my skinless chicken drumsticks but today it’s my Italian sub pinwheel sandwiches. Today I skipped the cheese and made them with sliced roasted turkey breast, nitrate-free ham, and light salami. The salami is what give them an Italian sub flavor. So here’s what’s inside my lavash bread…. mayo, mustard, Italian seasoning, diced peperoncinis, turkey, ham, salami, and lots of lettuce.